Ecommerce has really taken off. People are used to buying everything online now from tickets to services to even take out meals. Also fuelling ecommerce growth is mobile commerce (opens in a new window). Everyone has a smartphone or tablet and can buy from local businesses, like restaurants, from where ever they are. This growth represents a terrific opportunity for you to sell your products and services online (opens in a new window). For example, more businesses now offer buy-online-and-pick-up-at-store to better serve their customers (e.g. Londondrugs.ca, HomeDepot.ca, etc). We will setup a basic ecommerce store to your existing website to sell up to three of your products or services online for FREE! The $399 set up fee is waived. Note: American buyers or paying in US dollars get roughly 20%+ discount, depending on the current rate of exchange. With your own ecommerce store, you will not have to necessarily depend on Groupon to attract customers. You’ll be able to make your own daily deal coupons and specials and thus keep a bigger share of profits. This solution is ideal for any small business. Salons to dentists to chiropractors can sell their products online. Service providers like contractors and therapists can also sell their services online, too. 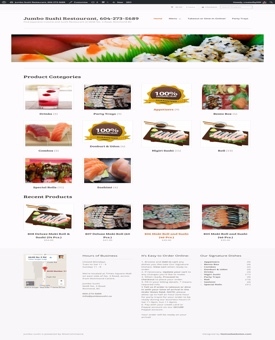 Here’s an example of a basic ecommerce website designed for JumboSushi.ca. Its customers can easily order their meal online on their desktops, tablets or smartphones while on the go. JumboSushi can now better serve its customers, stand out from most restaurants that just show an online menu, but you can’t order online from, and save on commissions to restaurant delivery apps. 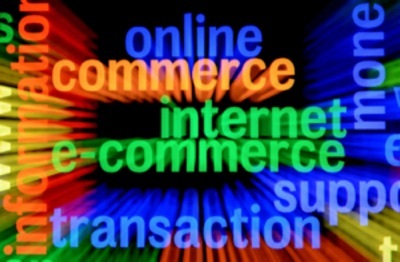 Act now and we’ll create a free ecommerce store for you. Don’t miss out! Your competitors are beginning to offer online ordering. Why aren’t you? We guarantee you will be happy with your ecommerce store or we will take it down at any time for any reason on request—at no cost.